Chandigarh:- Sikh political prisoner Bhai Shamsher Singh was released from Burrail Jail Chandigarh on parole today. He is undergoing imprisonment for life in Punjab CM Beant Singh assassination case. Sikh Relief director Rajendrpal Singh told Sikh Siyasat News over phone that Bhai Shamsher Singh’s parole was rejected by the administration, as the Patiala police had filed an adverse report. He said that after a long and hard battle with the Punjab government authorities to secure parole for Bhai Shamsher Singh. He said that Bhai Shamsher Singh has already spent 20 years behind the bar which is more than the mandatory term which a life term convict is required to serve. 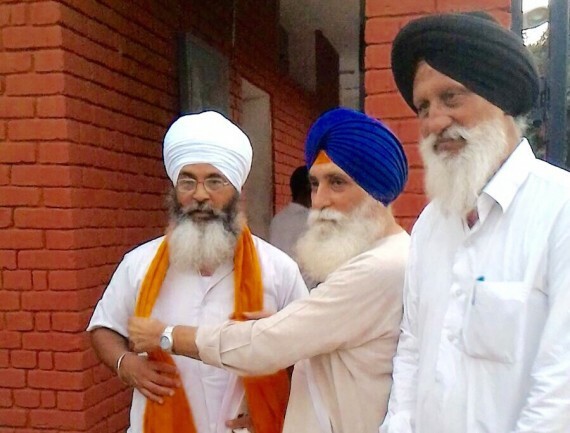 This is the third time when Bhai Shamsher Singh is released on parole. This time he is released for 48 days. R P Singh said that the Sikh Relief was trying to secure parole for Lakhwinder Singh and Gurmeet Singh also.